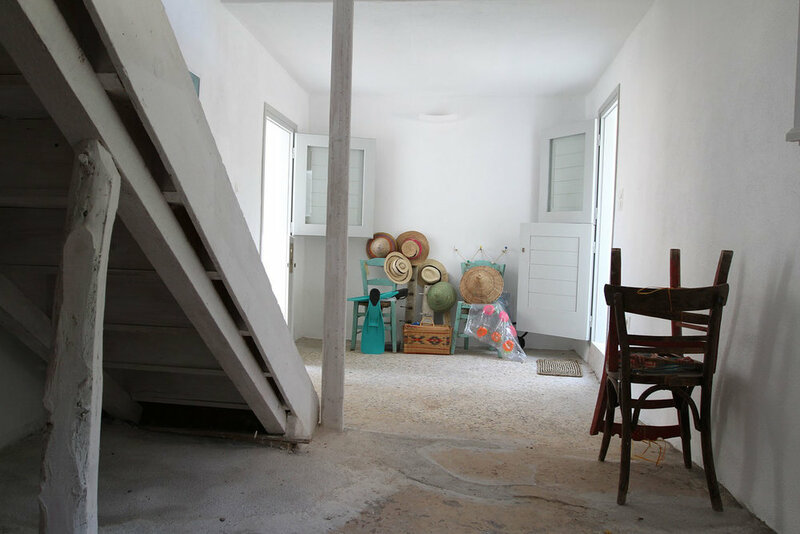 Completed in 2012 by Eleni Tsigarida and Aiolou Architects, this beautiful property next to the sea was built over the course of more than a century with the initial core stone and mud brick building built in the second half of the 19th century. A number of more and less successful additions and extensions to this core created a weird but wonderful mix of spaces materials and uses. The proposal emerged through the process of stripping the property of all the ad hoc divisions that made the house feel like a random array of pokey rooms. The spaces that were revealed afforded a certain theatrical feeling and so we decided to reduce the interventions to a very discreet set of background works that tied the spaces together. Where possible we kept the original materials but tweaked the color scheme to blend such opposite materials as timber floors with concrete mosaic floors and polished or dressed concrete. The big rooms were kept open plan thus highlighting the airiness and light that the orientation and sea view allow. The kitchen area that needed a full facelift was redesigned with a minimal rough style that does not contrast the rest of the house. The landscaping of the outdoor space that overlooks a small beach was organized as a combination of seating and shady areas with open areas that step down to the sea.